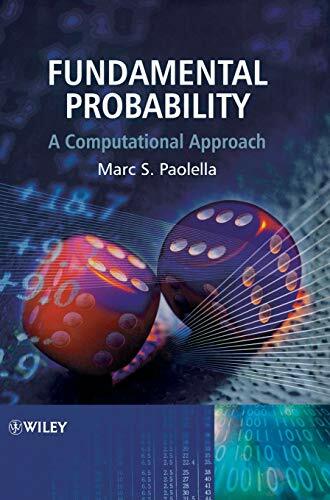 Probability is a vital measure in numerous disciplines, from bioinformatics and econometrics to finance/insurance and computer science. Developed from a successful course, "Fundamental Probability" provides an engaging and hands on introduction to this important topic. Whilst the theory is explored in detail, this book also emphasises practical applications, with the presentation of a large variety of examples and exercises, along with generous use of computational tools.Based on international teaching experience with students of statistics, mathematics, finance and econometrics, the book presents new, innovative material alongside the classic theory. It goes beyond standard presentations by carefully introducing and discussing more complex subject matter, including a richer use of combinatorics, runs and occupancy distributions, various multivariate sampling schemes, fat tailed distributions, and several basic concepts used in finance. It emphasises computational matters and programming methods via generous use of examples in MATLAB. It includes a large, self contained Calculus/Analysis appendix with derivations of all required tools, such as Leibniz' rule, exchange of derivative and integral, Fubini's theorem, and univariate and multivariate Taylor series. It presents over 150 end of chapter exercises, graded in terms of their difficulty, and accompanied by a full set of solutions online.This book is intended as an introduction to the theory of probability for students in biology, mathematics, statistics, economics, engineering, finance, and computer science who possess the prerequisite knowledge of basic calculus and linear algebra.